First Solar, the company destroying several square miles of desert habitat to build solar facilities on pristine desert wildlands, sided with utilities companies seeking to limit the expansion of rooftop solar in a regulatory filing this month. First Solar's move is not surprising because the panels it manufactures and uses at its large solar facilities are not very efficient, and typically are not used in rooftop solar installations. The company depends on monopolistic utility companies to buy energy from its projects, funds anti-environment politicians, and has insisted on building a large project that biologists have warned will degrade habitat connectivity for the threatened desert tortoise. Do We Need Another Transmission Line in the High Desert? 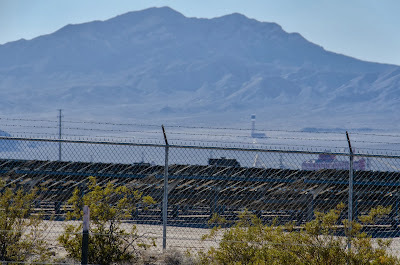 Southern California Edison (SCE) is planning to invest upwards of one billion dollars in new transmission lines through Lucerne Valley, connecting substations in the Barstow area to Hesperia. Never mind that the utility already has three existing major transmission pathways through the region, in addition to lines owned by Los Angeles Department of Water and Power (LADWP). SCE argues in its application to the California Public Utilities Commission (CPUC) that the "Coolwater-Lugo" transmission upgrade is needed to alleviate a bottleneck on the lines running from Kramer Junction to Hesperia, and to provide interconnection for up to 1,000 megawatts of renewable energy development. The California Energy Commission (CEC) this month published part of its Final Staff Assessment for BrightSource Energy's Palen Solar power project. 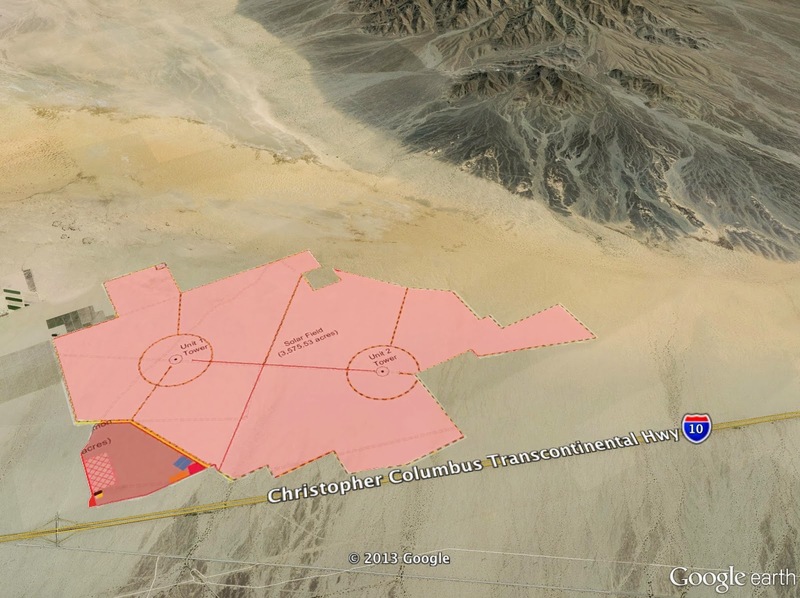 After evidentiary hearings this fall, the CEC plans to decide whether to approve the project proposed for the Chuckwalla Valley between Indio and Blythe, resulting in the destruction of up to 5.9 square miles of desert habitat that currently hosts kit foxes, Mojave fringe-toed lizards, and burrowing owls. Biologists are concerned that the project would not only disrupt sand transport through the valley that sustains fringe-toed lizard habitat, but also pose a collision and burn risk to a variety of birds, from golden eagles to the endangered Yuma clapper rail. Will the California Legislature Save or Punish Ratepayers? California's legislature is considering a bill (A.B. 327) that may solidify the monopoly status of investor-owned utility companies by charging all ratepayers a fixed fee. 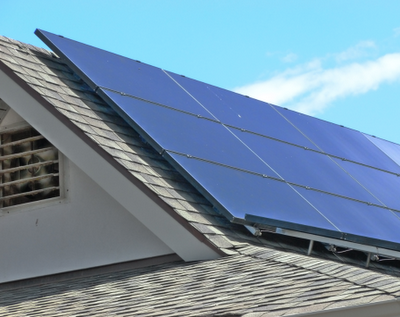 Not only would this unfairly penalize ratepayers who invest their own money to make their homes and businesses energy efficient, it would strangle nascent efforts to democratize our energy grid with rooftop solar. California ratepayers are already being taken to the bank by utility companies; each utility collects a guaranteed return of over 10% from ratepayers. No matter what they build or destroy, they can earn a profit. Even when utility companies make bad decisions, they expect to be compensated and rewarded. For example, now that Southern California Edison shut down its failed nuclear plant at San Onofre, it wants to collect 2.4 billion dollars from ratepayers, enough money to pay for its misguided investment and earn at least 5.5% extra. If you want to have your voice heard regarding the Desert Renewable Energy Conservation Plan (DRECP) - a Federal and state effort to figure out the appropriate locations for large-scale renewable energy development in California's desert - you will have your chance on Friday, September 6, and Saturday, September 7. As noted in the Desert Sun, the meetings will afford the public a chance to provide input to the planners. The plan will identify areas for conservation, and areas for renewable energy development. Speak up in favor of expanded conservation protection for our desert wildlands, and for renewable energy on rooftops and already-disturbed lands. There is no need to for industry to destroy more wild places when we have a more sustainable alternative.